Mr. Lalith Weeratunge, the Secretary to the President has said on Twitter that the Provincial Councils system is a white elephant. Yes indeed for reasons that lie fairly and squarely at the door of the Central Government. President J.R. Jayawardene passed the 13th Amendment and the Provincial Councils Law. But these laws had to be given effect to by the subsequent President Premadasa, who had little understanding of the principles of Public Administration. When there is a wide devolution of power there has to be changes in the existing administrative structures to give effect to such devolution. If power is devolved to the provincial councils then there should be shrinkage of power of the central government. But our political leadership was not willing to do so. So we have duplication of administrative structures and entities which is the primary reason why the Provincial Councils have become white elephants, for the work of the central government has not shrunk as devolution of power both logically and otherwise should mean. Such shrinkage of the activities of the central government was essential if the costs of government were not to go up. But our politicians did not agree to such shrinkage of power and functions of the central government continue and they add on to the concurrent list or usurp the powers of the Provincial Councils. Let me illustrate. The District Administration was pivoted on the kachcheri which among other functions like enforcing the general laws and collecting revenue, also served as the provider of the general administrative services or the so-called housekeeping services such as providing space for the different departments or branch offices of the central government departments, providing centralized filing and record-keeping, centralized communications etc. The Government Agent was the Head of the kachcheri and he was empowered in many laws and legislative enactments as the person in whom power is vested in the district for the implementation of these laws. But when the functions of the central government were devolved to the Provincial Councils the kachcheri continued to be under the central government although the Government Agent was designated as the District Secretary. He should really serve as the Secretary to the Provincial Council. But instead of doing so and bringing the kachcheri under the Provincial Council the government of the day set up new institutions to function under the Provincial Council. So there is duplication of the costs of the administrative establishment. Who is to be blamed? The central government must bear the responsibility for this duplication of administrative overheads which have rendered the provincial councils white elephants from a national point of view. The Government should have brought the kachcheri under the Provincial Council for the devolution involved the transfer of general administration to the Provincial Council. Had this been done the central government could have confined its activities to those specialized functions which remained with the central government. It was also open to the central government to make the provincial council its agent in carrying out some of the functions which continued to remain with the central government. Consider education for example. The administration and supervision of the majority of the schools in the province was transferred to the provincial council. But a few so-called national schools continued under the central government. Is this necessary? Even if it is necessary, the supervision of these few schools could have been carried out from the center and the former Education office of the District or Province could have been transferred to the Provincial Council (P.C). The same consideration applies to the so-called Teaching hospitals which were brought under the central government. But the central government duplicated these offices by setting up separate offices for the provincial councils in addition to the central government offices. So there has been much duplication of administrative institutions together with the accommodation and other housekeeping facilities duplicated and causing a burden on the nation’s coffers. Integration of services at the field level recognizes the principle of economy. The institutional integration of all local activities is the method of bringing this about in provincial or local affairs. Our power hungry political leadership does not like to dilute their power which they project as the wish of the Sinhala Buddhist majority. Devolution however is for all communities and the PCs have become white elephants only because President Premadasa did not rationalize and re-structure the administrative structures consequent to the devolution of power provided for under the 13th Amendment. Instead two parallel authorities were created in the districts /provinces and this has not only made the PCs white elephants it has made the costs of running the State unnecessarily high. The government should even at this stage draw up a more economical system of administration for the country. This will involve joint study co-opting the officials of the Provincial Councils as well. Simple.Many posts were created,and many perks were allowed to the councillers, and thus the funds of the councils were wasted. This wasteful extravagance is increasing daily. Councillers even visit other countries to “learn” about their jobs! They are now so bloated with self-importance that they treat the public and public servants with disdain and contempt. Recently,one counciller compelled a female school techer to kneel in front of him, just because she had advised his daughter to wear clean uniform. The ROT starts at the CENTRE! At the top of the CORRUPT GOVERNANCE DEBACLE in Lanka – with its greedy and power hungry Executive President and the Rajapassa family of rent-seekers, and has TRICKLED DOWN to the periphery and provincial councils which are a mess.. The centre (Rajapassa brothers, sons and cronies) gives grudgingly with one hand, and takes much more with the other from the provinces.. For the provincial councils to work properly, the centre must be ETHICAL, non corrupt and willing to share power and funds (fiscal devolution) with the regions. 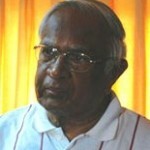 Instead, the only thing that the center shares with the provincial councils is CORRUPTION.. having concentrated all power and resources in the corrupt Rajapassa family – particularly in the hands of the uneducated joke called the Minister of Economic Development (Basil) who has high-jacked poverty reduction via and reduced it to a political patronage system via the Divineguma Bill and who thinks that CASINO tourism is development, and the other brother Gota the white van killer.. who protects the Rajapassa thugs in the PC like Kumara etc. as they do the killer Duminda Silva in the centre in the Diyawenna Parliament of corrupt clowns.. Voila the debacle of the Provincial Council System. LW suffers from tunnel vision. He sees only the PC’s. What about the jumbo cabinet, Magampura port, Mattala airport, Hambantota cricket stadium, Mihin Air, 36 Presidiential advisers etc. Now they want to build a leisure island off Hambantota after sacrificing 2500 Hectares to the sea for the port. Lamborghinis, Helicopters, Rolls Royce etc for the family? According to a study by the Institute for Constitutional Studies (’22 Years of Devolution, An Evaluation of the Working of Provincial Councils in Sri Lanka’) only around 6% of Provincial Council expenditure is for provincial establishment and administration. This is the expenditure incurred in relation to the Provincial Council, Board of Ministers, and Provincial Ministries etc. The other expenditure items are economic infrastructure, social infrastructure, community services, agriculture and industry. These monies would have been spent by the Government in Colombo in any case, if there were no Provincial Councils. Thus only 6% of the totel expenditure is for the so-called ‘sudu aliya’ of ‘white elephant’. I quote from the relevant portion of the study written by Asoka Gunawardena, former Chairman, Finance Commission. [Quote] The subject categories of provincial recurrent expenditure demonstrate the scope and pattern of provincial spending priorities in the provision of devolved public services. Approximately 96% in 2004 and 93.72% in 2009 of provincial expenditures are about services. The share of the provincial layer of government accounts (provincial establishment and provincial administration) has increased from 3.89% in 2004 to 6.18 in 2009. The increase accommodates a new establishment and administration for the North, a new provincial council and growth in operational expenditures of the provincial ministries. This is despite the popular notion of provinces being “white elephants” incurring wasteful expenditure. As far as service delivery activities are concerned social infrastructure (education and health) dominates accounting for approximately 83.00% in 2004 and 78.25% in 2009 of total provincial expenditure. The share of economic services comprised of economic infrastructure, agriculture and industry account for less than 5.0% of total provincial expenditure in 2004 and had reduced to approximately 4.0% in 2009. The share of community services includes grants to local government for supporting recurrent expenditures in respect of staff salaries and wages. This makes the provincial role a marginal, in fact a reducing one in promoting economic growth and poverty reduction. The largely constant share of total provincial expenditure suggests that there is little fiscal space for any adjustment in spending patterns. [Unquote]. What about the ‘sudu aliyas’ at the Centre- CPC, CEB, Mihin Lanka, Srilankan Airways, Mattala, Hambantota Harbour, President’s expenditure etc.? Why do not the Finance Commission, the Ministry of Provincial Councils and the Provincial Councils themselves make these figures public and dispel the wrong perception of the ‘white elephant’? What RMB Senanaike says about education is erroneous. The Provincial Department of Education carry out agency functions in respect of National Schools. All Administrative and Accounting functions are carried out by the Provincial Department of Education. For instance salaries of teachers in the National schools are paid by the Provincial Department of Education and there in no separate institution to manage national schools at the Provincial Level. However What Lalith Weerathunghe says abut white elephant is unsubstantiated. Other than ministers, ministries, departments created for the Provincial Councils, all other expenditures have to be incurred irrespective of whether there is Provincial Councils exist or not. teachers, principals, doctors, nurses, agriculture, irrigation, roads, local authority employees have to be paid, school, buildings, hospitals, irrigation tanks, roads have to be maintained. Employees have to be paid. It is incorrect to claim that Provincial Councils are white elephants. Only ignorant anti devolutionists claim without versification. black sinhala elephants are the white elephants in the case of sri lanka.in any case how could a non existing council like northern council be a white elephant. if corrupt sinhala black elephsnts have robbed the councils , then it would look a white elephant for people from outside. if a council is run efficiently without waste and swindle, it can never be a white elephant. it will be as good as ganesha. Every argument adduced against the PC system is only aimed at depriving the Tamil people in the North and the Muslims in the East to enjoy some of devolution. If there is any PC that is a white elephant, as all the present ones are, is due to the corrupt politics that continues to ruin the whole country of which the highest is the one-hundred odd member cabinet. Is this cabinet not the ‘hugest white elephant’? Rural filifinas get nailed on to the cross. Now some Sri Lankan christians also get nailed to the cross and they believe that Jesus did that willingly and their priests don’t want them to know that Jesus could not avoid it and Romans punished him the way how they punished people at that time. In the background of this definition it is reasonable to suggest that India may have thought like the Kings of Siam when PCs were forced on Sri Lanka. This is a good argument but not easy to validate because the country is very small for devolution of power to provinces which had been created without considering the geography of natural resources. Prof. CM Madduma Bandara proposed a river basin based re-demarcation of provincial boundaries to ensure equality in distribution of natural resources. It would have been better if a PSC study this model before deciding on amending the constitution. In 1990s the Economists of the WB were of the opinion that devolving powers to resource poor regions is useless. GAs are now District Secretaries. Within the present system of governance, what is their role? Only observation on their role is that they are agents for distributing central government funds programs and projects formulated by Ministries and Departments of the Central Government. Yet the questions arise as to whether building bus stands and public fairs etc. etc. are functions of Central Government and whether provincial Councils are required to provide funds for same. In the countries the world over, whether rich or poor, these are functions of local councils. As for education, the issue of having a common curriculum for the whole country in the midst of private and international schools conducting EDEXCEL based courses, remains to be addressed seriously. These schools are governed by companies registered by the Companies Registration Act of the country and therefore could be considered as national schools. Do the PCs have the option of developing different curriculum for schools under their purview? RMB SENANAYAKE is simply trying to create a SHANTY-STATE of Sri Lanka. Where does this he find another country like this ? If the President is a HONEST person, he should make sure that the Presidential Commission on Matale murders should be in public view and telecasted alive without keeping it inside closed doors. Further the PSE appointed to discuss the 13th amendment also should be held in open not in camera and should be telecasted alive. When President says that People are supreme then let him prove that he is a HONEST person. Until now he has not been able to persuade majority of Sri Lankans that he is HONEST. It is like human should evolve back to invertebrates, so the life will be better.